Want to take on the singletrack trail at Oak Openings but need a few skills first? Learn the basics of off-road cycling and gain the skills and confidence required to ride the tougher sections of the trail. 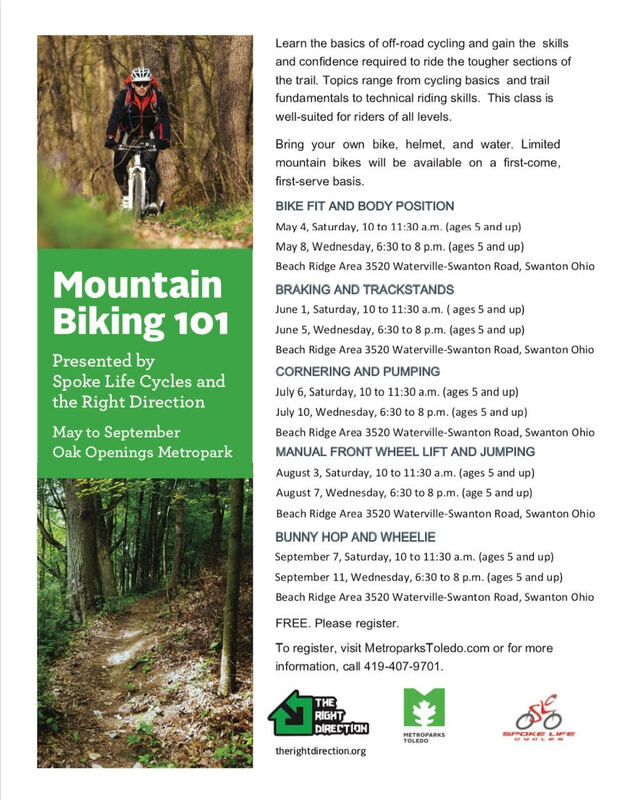 Topics range from cycling basics and trail fundamentals to technical riding skills. This class is well-suited for riders of all levels. And FREE. Please register. Bring your own bike, helmet, and water. Limited mountain bikes will be available on a first-come, first-serve basis. Get Hooked on Mountain Biking! Here's info on the MTB essentials!